Karela or Bittergourd is known for two things: its bitter taste, and its health benefits. Most people we know, agree that it is one of the healthiest food items : low in calories, and rich in iron, calcium, minerals and vitamins. Bitter gourd is recommended to diabetics for its health benefits due to two compounds , charatin and momordicin. These are known to help with reducing blood sugar level. Problem? Most people we know, also hate it! How do you make this healthy vegetable a part of your regular cooking? Stuffing the karela with spices makes it very tasty and this recipe is used all over India with some variations here and there. 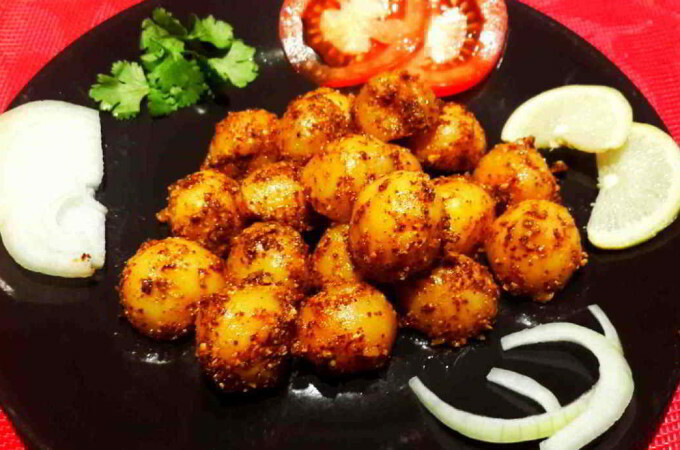 This is our variation for this classic Indian Vegetarian recipe. Note: you will need sewing thread (cotton based) to keep the stuffing together inside the karela when cooking. This will be removed during serving. Lightly scrap karela (bitter guards). Slit each karela (bitter guards) lengthwise. Scoop out the seeds carefully. Boil them in slightly salted water for ten minutes or until half done and drain. 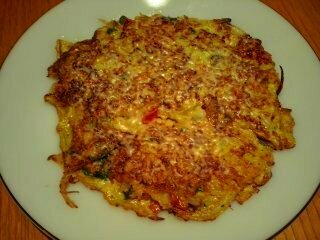 Add chopped onions and cook for 2-3 minutes or turn translucent. Add garlic-ginger paste and mix well. Cook for 10 minutes or separate the oil. Turn off the gas and let the stuffing cool. Fill the prepared mixture into the karela (bitter guard) and tie with a thread. Heat the oil in a frying pan on a medium flame and deep-fry the stuffed karela (bitter guards) till they turn golden brown from all the sides. 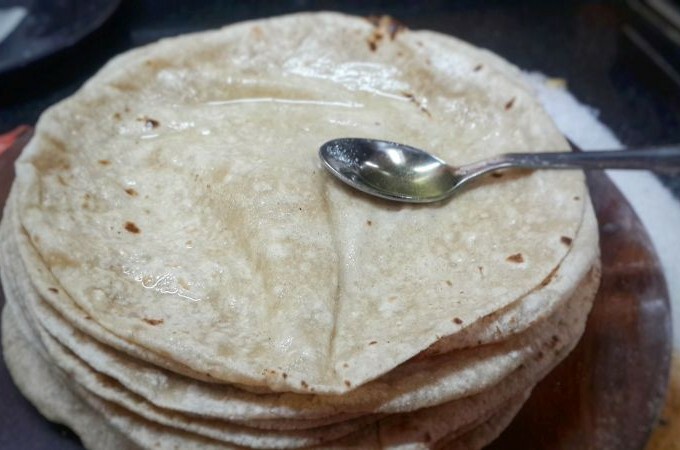 Take out the karelas from the pan. 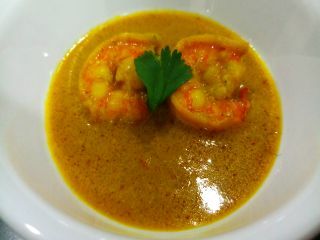 Serve with plain rice or Parathas or Roti or Puri. Note:- while serving Bharwan karela remove the thread. 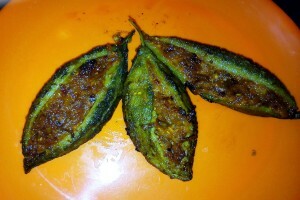 Bharwan karela recipe, how to make Stuffed Karela or stuffed bitter gourd. Bharwan Karela: Bitter gourd stuffed with an aromatic mix of spices. A healthy Bitter Gourd recipe. You will need sewing thread (cotton based) to keep the stuffing together inside the karela when cooking. This will be removed while serving. The Bharwan Karela is ready. 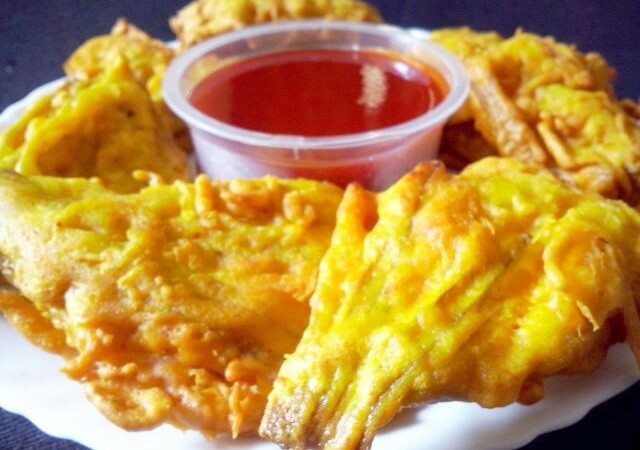 While serving Bharwan karela remove the thread.